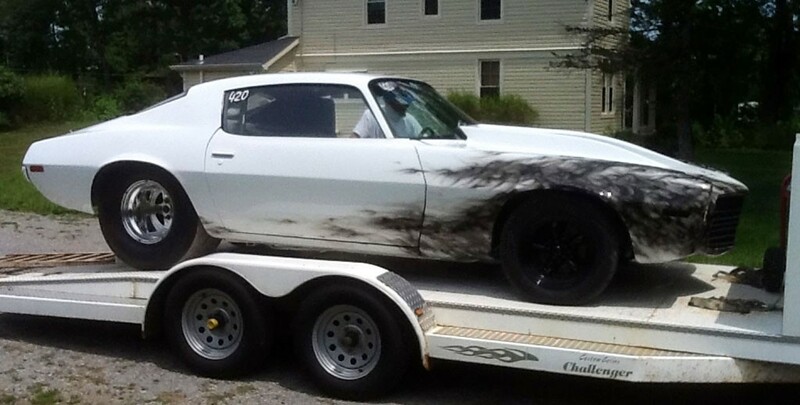 This was a drag racing customer who wanted his car to stand out at the tracks. It was brought in as a matte black car with several cosmetic imperfections. Once the body was gone over and the blemishes removed, the Chevy was given a pure white finish. To create a custom touch, black realistic style flames were added to the front end of the Chevy, this really added the custom touch that the customer was looking for.